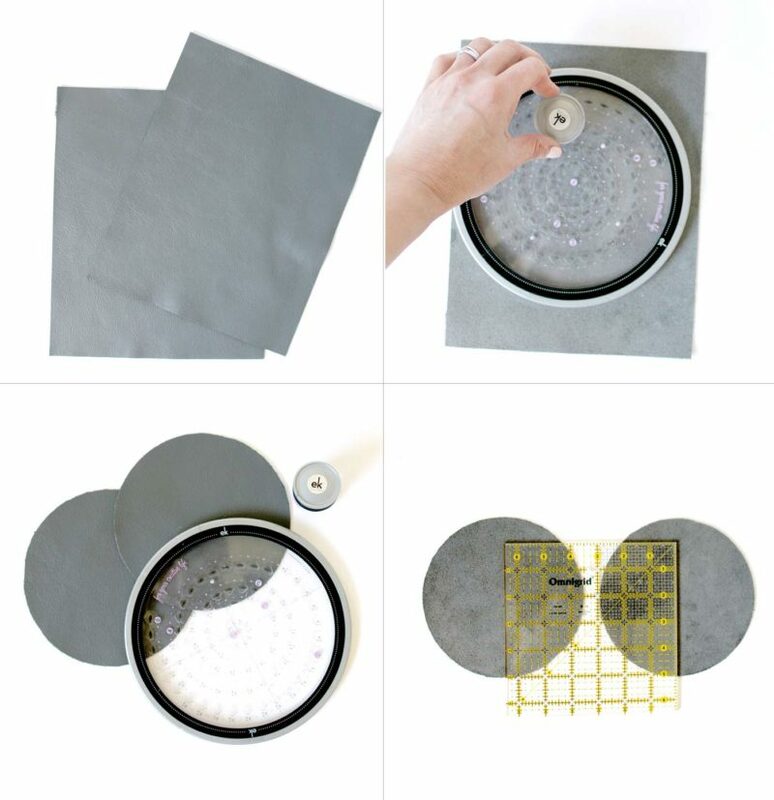 Starting from the four photos above, top left clockwise, using a circle cutter, cut two circles 6″ inches in diameter. Then measure one and a half inch from the top of each circle. 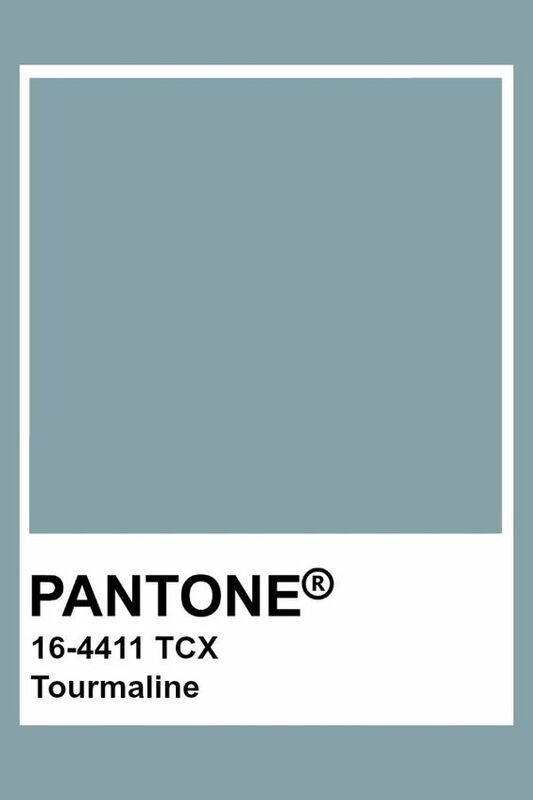 Use a pencil and draw a straight line from the 1.5″ mark. Do the same with the other circle. 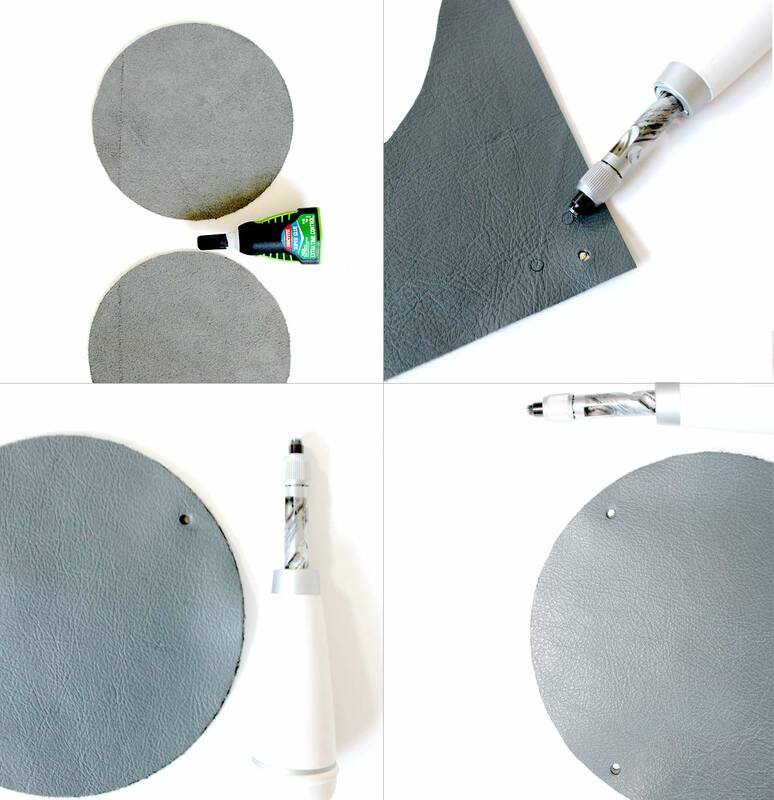 Then glue both circles, leaving the top of the circle (where you marked with pencil) with no glue. This will be the “opening” of the clutch. 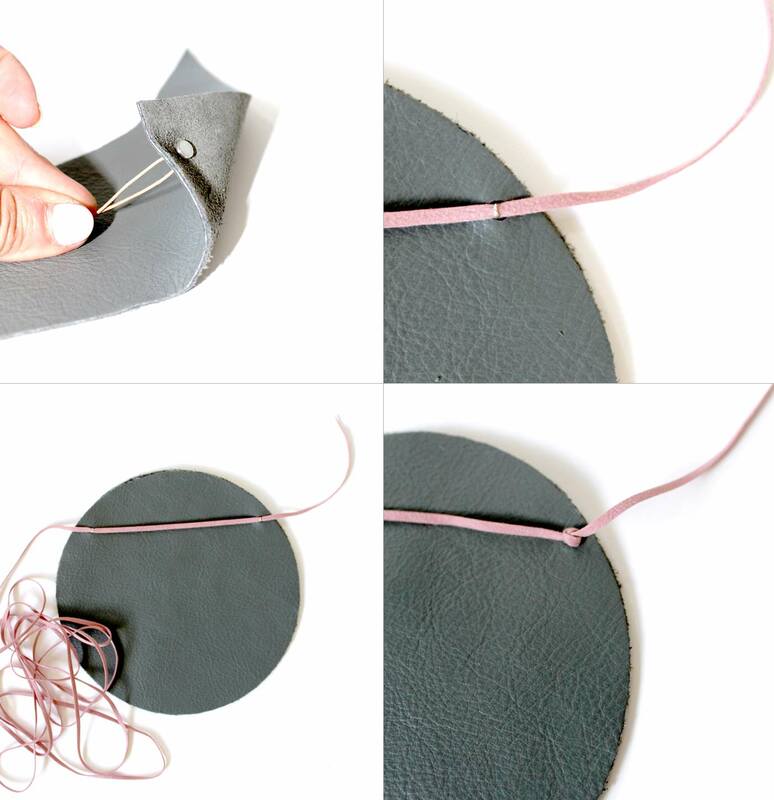 When both circles are firmly glued, use a screw punch to make two small holes on each side of the clutch. Put one magnetic clasp through each hole. Begin with one side of the clutch and put through faux leather lace like shown in the photos above. 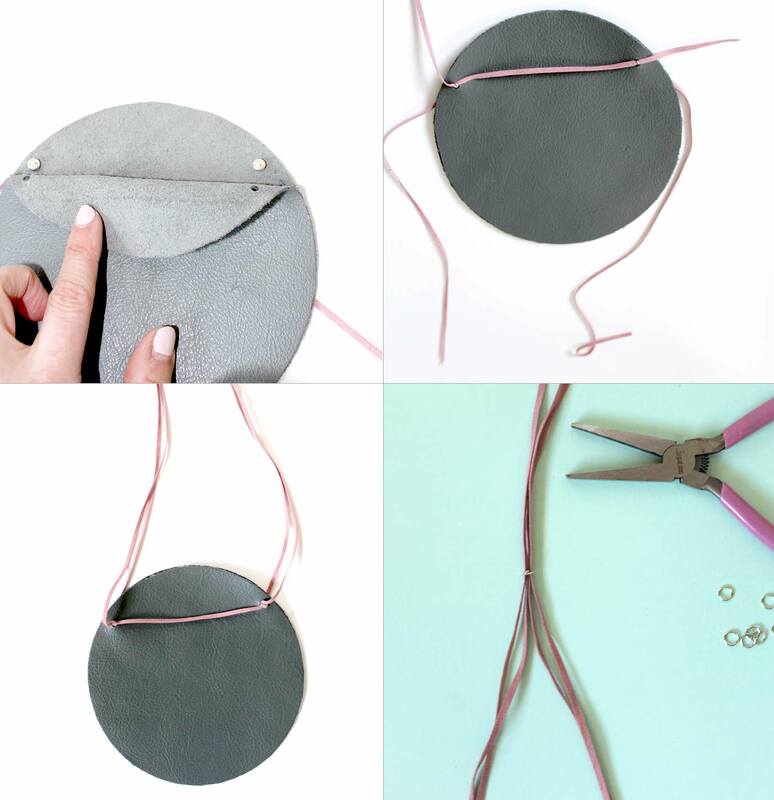 The top left photo shows one side of the clutch with magnetic clasps. Repeat the same steps on the other side of the clutch. I wore my new clutch on Saturday night when the hubs and I did some wine tasting in Woodinville. I can fit my iPhone 6 and my ID inside my clutch. 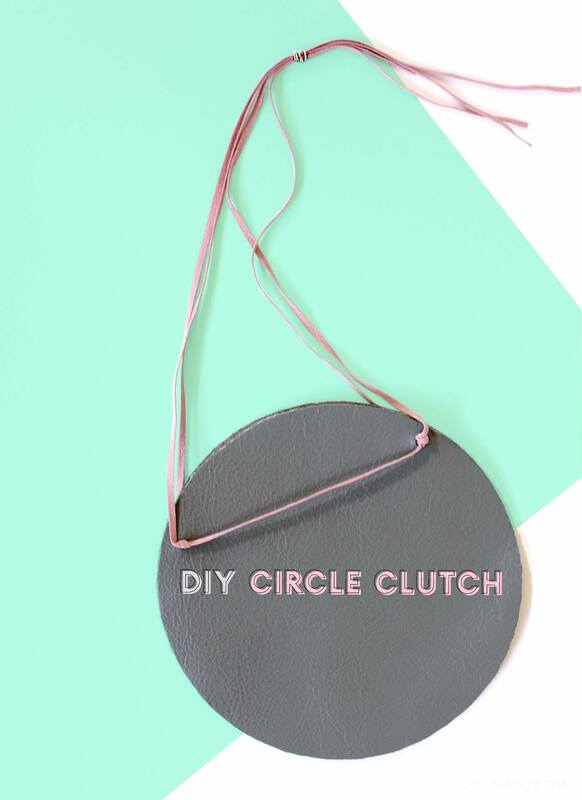 You can make a bigger clutch, with larger leather circles and then follow the same steps from my tutorial.